"Small group ministry...It doesn't work in Adventist churches." or "Our group keeps dying after an initial start" - These statements are often repeated, yet in Gateway Adventist Centre, Melbourne, Australia - a church based on small group ministry - is experiencing significant growth. Starting with a core group of 20 people, Gateway has now planted three churches, seen many baptisms and facilitated small group ministry growth around Australia and the world. 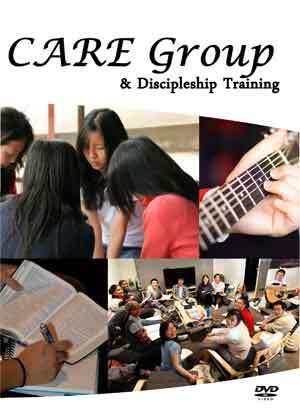 Learn about this ministry with 12 learning modules, complete with videos, workbooks and powerpoints. Johnny Wong is a church planter and founder of Gateway Adventist Centre. He has conducted training in 20 countries worldwide, covering topics such as Care Group, Discipleship, Leadership and Church Planting. Johnny is a lay person whose training is in Information Technology and has worked in senior management positions in Oracle, Ansett Group and Hewlett Packard.